The Business Ed Committee provides vital programs that train, educate, and develop collaborative partnerships that contribute to business success. The Business Ed Committee brings various training seminars to all of its Chamber members throughout the year. See our Events Calendar for upcoming trainings! Every summer before school begins, the Chamber hosts a luncheon and FAM tour of Yankton for all new Yankton teachers and faculty. 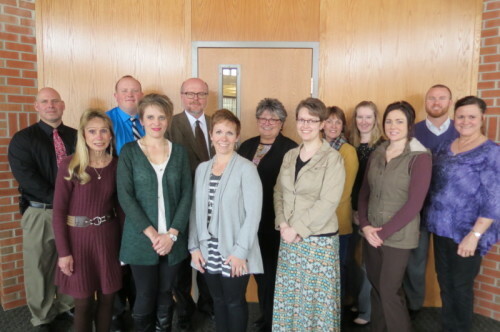 Chamber members are welcomed to apply for our annual Leadership Yankton Program, where they can develop their personal leadership skills, learn from other community leaders, and gain a deeper understanding of the Yankton community. The program consists of 5 sessions, held one day per week. Cindy Smith, Applied Engineering, Inc. Meetings are held the first Tuesday at 4 p.m. at the Yankton Chamber & Visitors Center Conference Room, 803 E. 4th Street. For more information or to join the Business Educational Development Committee e-mail Marissa at: marissa@yanktonsd.com or call (605) 665-3636.